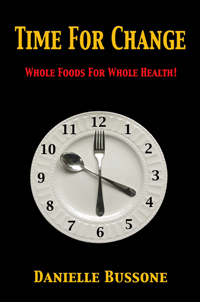 This recipe is courtesy of Time For Change: Whole Foods For Whole Health! This makes a big pot of chile. This is a fantastic, relatively easy dish to make for a crowd, such as a Cinco de Mayo party. It freezes well and is always handy to have on hand for unexpected guests. This is one of those dishes which only get better with time. You may, of course, reduce the recipe to suit your immediate needs. Peel and chop onions and mince garlic. Wash and chop celery and peppers. Open cans of tomatoes and measure spices into a small bowl. In a large saucepan or stock pan with a lid, saute onions, celery and peppers until soft and the onions are translucent. Add minced garlic and sauté another two minutes. Stir in chili seasoning, cumin, and coriander until well combined. Fold in chopped tomatoes. Add the beans, with their liquids, and cook covered on medium heat for 20-30 minutes. Add salt to taste. Garnish with chopped cilantro and freshly chopped red onion.